The EdgeRouter™ PRO combines 2 million+ packets per second performance with fibre connectivity options.. 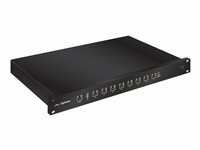 The EdgeRouter™ combines 2 million packets per second over its eight independent, Gigabit routing ports. 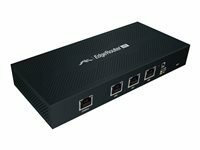 Powered by 24V passive PoE or a power adapter, the EdgeRouter™ X features a passive PoE passthrough option* to power an airMAX®device. 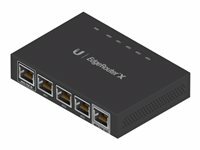 The ER-X-SFP, is powered by an external power adapter. 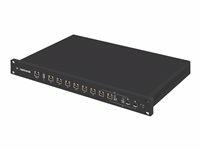 The five Gigabit RJ45 ports support 24V passive PoE output for airMAX or UniFi® devices, while its SFP port provides fibre connectivity to support backhaul applications.